We were intrigued when we heard about the world of rose judging and wondered how this could apply to the home gardener. So we went to an expert to get the scoop. Noted rosarian, Susan Fox, lives in the world of roses. She was awarded the American Rose Society’s Presidential Citation for promoting the rose and rose education via social media, she has been a judge at the International Biltmore Rose Trials in Asheville, N.C., and she is the author of “Four Seasons of Roses Monthly Guide to Rose Care.” Susan knows roses and is committed to teaching and helping people add roses to their garden, so we asked her for tips on growing roses. Q. You tell us there are roses for every garden, but how do I know they will work in my garden? A. I first ask what do you want to achieve by adding roses? Do you want a view of roses from your window? Do you want to take photos of roses? Do you want a fresh bouquet for your home? Once you answer, the next question is what will make you happy and meet your needs? Is the color most important? How much time do you have to care for the roses? These answers help narrow the type of rose garden suitable for you. Q. What if I don’t have much time to spend on a rose garden, yet I want a beautiful one? A. Hybridizers are coming out with better rose care options; no spray, more disease resistance and rapid bloomers are making rose gardening easier. I like a floribunda rose. It has the quality of a hybrid and a rapid bloom cycle. Q. How do I know if roses will grow well in my area? A. First, check a plant hardiness map to determine your zone. This is something every gardener should know. Then when you buy roses, in person or online, only buy ones for your zone. In fact, when you shop online at some rose growers, many will store your zone information and will not sell you the wrong rose. Q. Roses need full sun, but I only have part sun. Can I still grow roses? A. Yes, roses need 6-8 hours of sun, however they will bloom with just 4-5 hours. Roses actually do quite well with this amount of sun. They will have fewer blooms and more foliage, so ask yourself if fewer blooms are ok? Actually, the quality of the sun is important. Less sun in the hottest part of the day is fine. Q. 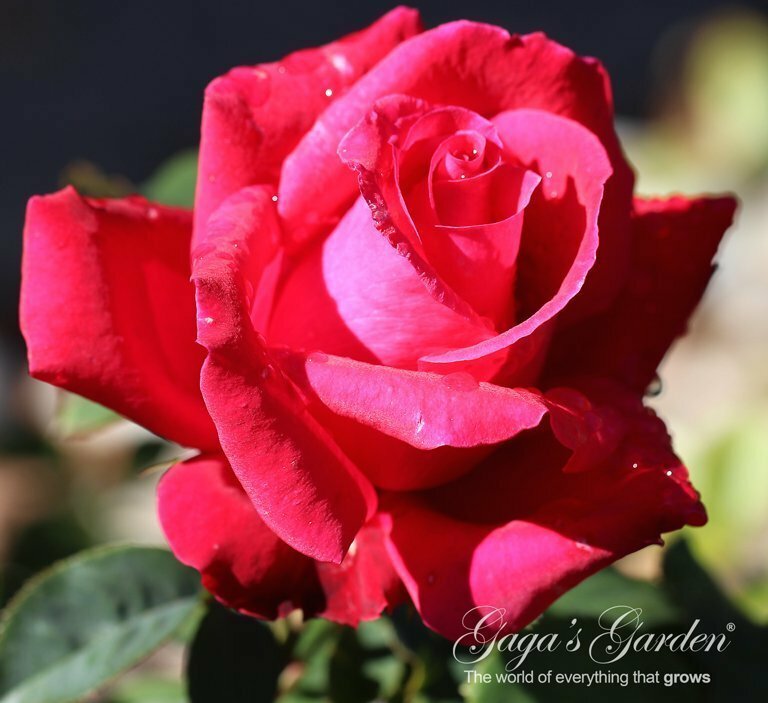 There are so many varieties that there seems to be a rose for everyone and every condition. What if I have a small garden or only containers? A. Mini roses are great for small spaces and containers, but pay close attention to the plant tag. Not all small roses stay small. It might be the bloom that stays small, not the plant. The best one that stays small is a micro-mini, but these come in tall, mini or compact, so read the tags. Q. What is the number one mistake you see when people buy a rose? A. They buy a rose based on the name of the rose and know nothing about it. Then they plant the rose, not knowing if it’s right for their location, it develops problems and dies, and they think they killed it. They then say they can’t grow roses. Instead, they didn’t buy the right rose for the space and didn’t take the time to learn how to care for it. Roses are not difficult to grow. They have been around forever in the world, growing with little care or chemicals. Q. What’s on the horizon for roses? A. People want a real rose—one that looks, smells and acts like a rose, but is easy to care for. Like the ones we had in the past. They also want more earth-friendly roses. The top hybridizers are working to create better, easier to care for roses with stronger fragrance. It’s encouraging that the hybridizers are listening to consumer requests. 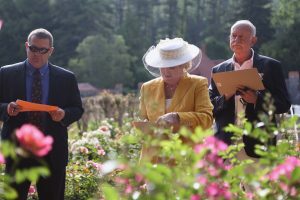 To learn more about Susan Fox’s work and mission to promote rose growing, visit www.gagasgarden.com. 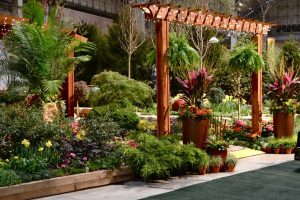 If your plans have you going to the Windy City in mid-March, make plans to attend the Chicago Flower and Garden Show on March 12-20 while you are there. Or just book a cheap flight now and head north to Chicago for this amazing exhibition of horticulture. The insightful and interesting gardening seminars are a keystone of the show. Held several times a day throughout the show’s run, the seminars are geared to give gardeners of all experience levels the knowledge and confidence to create the gardens they wish to have. The Seminar Series features nationally recognized speakers on a wide variety of topics, from growing your own herbs and vegetables to caring for shrubs and perennials. Some touch on the mind-body-spirit connection, revealing a path to well being for the plants – and the gardener. For more information on the seminars and the show, visit www.chicagoflower.com.